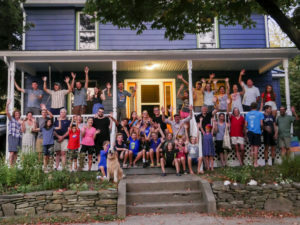 The Robert Wood Johnson Foundation recently awarded a grant to Front Porch Forum to study how Vermonters use FPF to build community. “When the Foundation approached us to do this work, it was a wonderful surprise and great honor,” said FPF co-founder Michael Wood-Lewis. A leading national social networking research organization, Network Impact, recently conducted a statewide 20-minute survey of 140,000 FPF members. They garnered 15,000 completed surveys from every corner of Vermont. Results are pending.